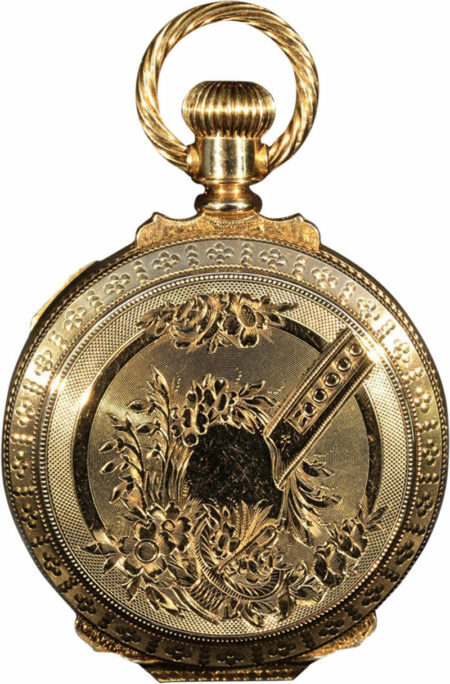 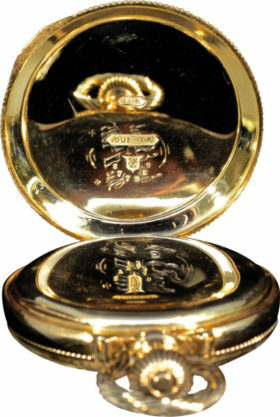 This American Elgin 14K yellow gold box hinge pocket watch features a hunter’s case with a finely engraved flower scroll motif and an unusual rope twist bow. 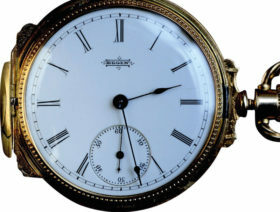 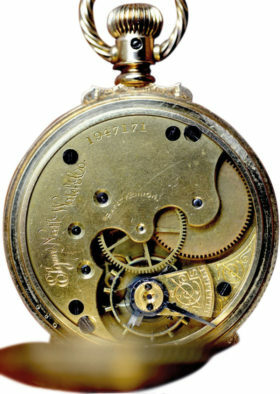 This watch houses an 11 jewel movement and a two piece porcelain dial with seconds dial. 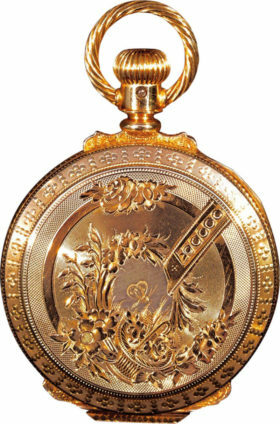 Case by Dueber. 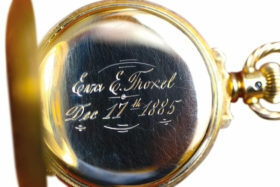 Signed and serial numbered 1947171.